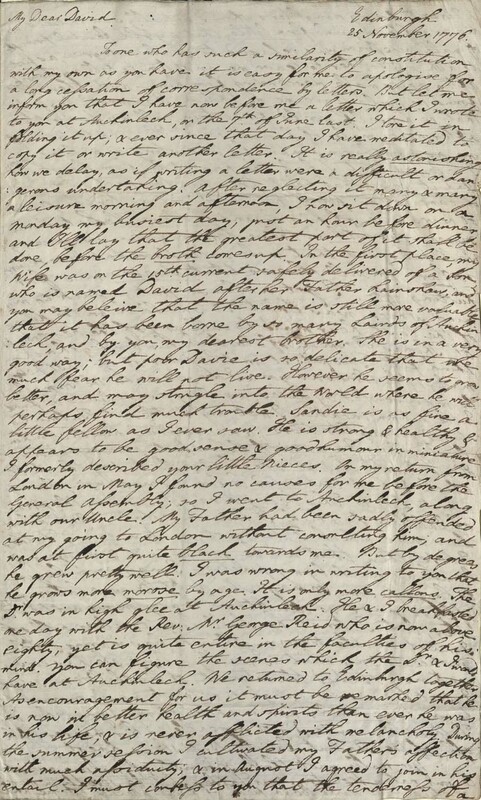 The Hyde Collection of Samuel Johnson holds some 75 letters written by James Boswell, but this just-acquired, previously unpublished letter to Boswell’s brother David perhaps outshines them all. 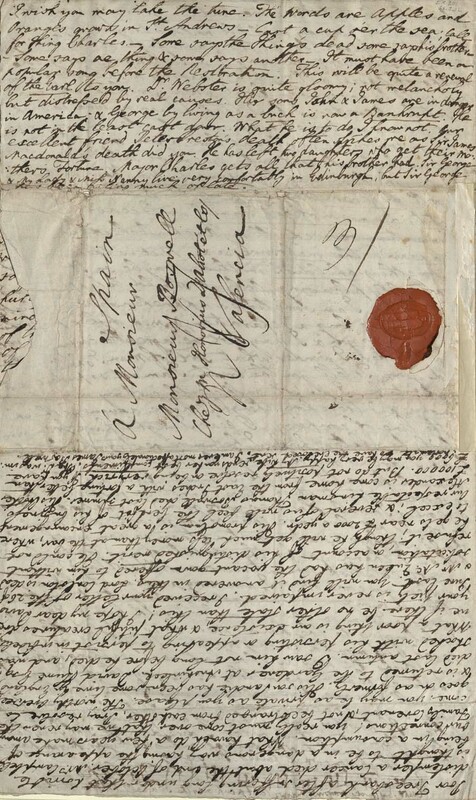 When he wrote to David, then living in Valencia, Spain, in November of 1776, it was his first letter in several years. To one who has such a similarity of constitution with my own as you have it is easy for me to apologize for a long cessation of correspondence by letters. … It is really astonishing how we delay, as if writing a letter were a difficult or dangerous undertaking. After neglecting it many & many a leisure morning & afternoon, I now sit down on a Monday, my busiest day, just an hour before dinner, and I’ll lay that the greatest part of it shall be done before the broth comes up. The Dr. was in high glee at Auchinleck. He and I breakfasted one day with the Rev. Mr. George Reid, who is now above eighty, yet is quite entire in the faculties of his mind. You can figure the scenes which the Dr. & I would have at Auchinleck. We returned to Edinburgh together. 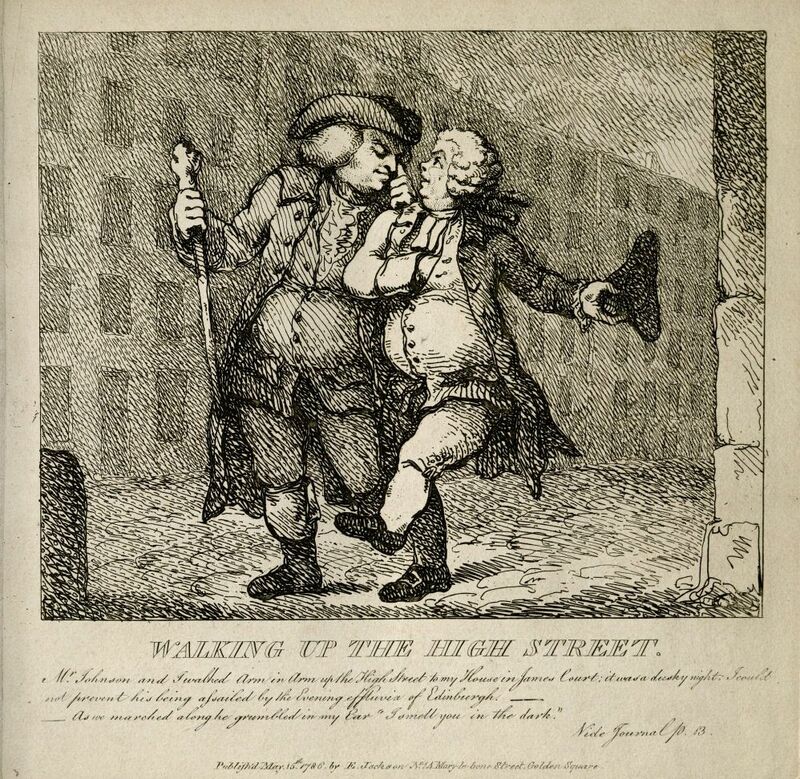 As encouragement for us it must be remarked that he is now in better health and spirits than he ever was in his life, & is never afflicted with melancholy. David Hume, Esq. died last autumn. 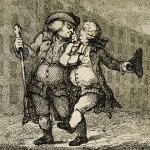 I saw him not long before he died, and was shocked with his persisting or appearing to persist in infidelity. What a poor thing is our existence, & what pitiful creatures are we if there be no other state than this! I hope my dear David your piety is never impaired. 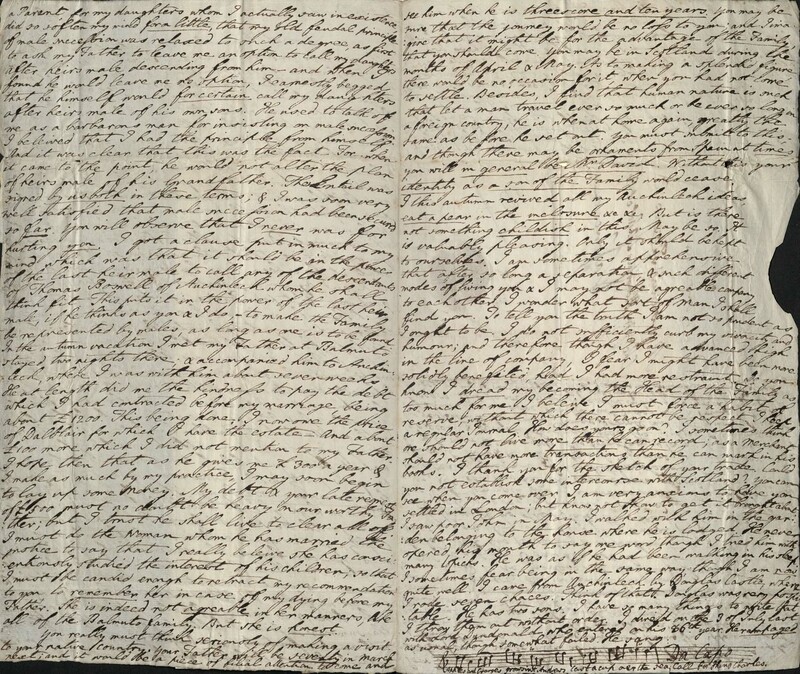 The letter even features a brief musical interlude, as Boswell transcribes a song he heard on a visit to the elderly Earl of Dundonald. 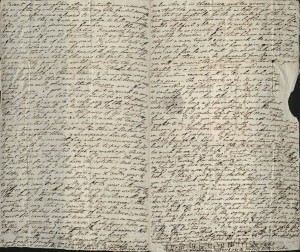 Below, the letter in full: front, back (including address panel and seal) and interior. 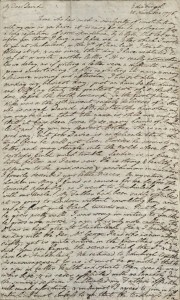 It is a great letter and it does shed a great deal of light on David’s relationship with his brother James in the 1770s, for which almost all their correspondence is lost. But it did not come after a long radio silence. 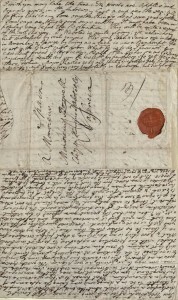 If JB’s Register of Letters is to be trusted, James wrote to David at least once every year from 1770 to 1779 (gaps excepted), and in most of those years managed three of more letters to his merchant brother in Valencia. David was a more regular correspondent, though as the letters haven’t survived we’ve no way of telling if he was a better one. Still, he managed four letters in 1774, seven in 1775, and at least three in 1777.